Pakistan has written to the World Bank asking it to ensure that India abides by the 1960 Indus Waters Treaty…. Pakistan has written to the World Bank asking it to ensure that India abides by the 1960 Indus Waters Treaty. The move comes over reports that India has finished building the Kishanganga hydroelectric project, and the power plant is in the final stage of commissioning. However, the move is likely to end up as just posturing considering India had been given the legal go ahead for the project by the International Court of Arbitration, the World Bank and neutral experts. Pakistani daily Dawn reported that Islamabad had sent a fresh communique to World Bank’s vice president, and asked it to ‘recognise its responsibility’. The World Bank is the mediator between India and Pakistan under the Indus Water Treaty, which it had helped negotiate over a period of nine years. However, even as it reported the development, Dawn too seemed unsure what would come of the move. “When asked what the government expected now that India had completed the Kishanganga project, the official said the authorities could not just sit back and had to take the matter to its logical conclusion,” read the Dawn report. The International Court of Arbitration in February 2013 had upheld India’s right to divert the waters of the ‘western rivers’ of the Indus system in a non-consumptive manner. That means India has a right to divert the flow of water in a river in a different direction. In any case, the Kishanganga is a run-of-the-river hydroelectric project, which means the water is not consumed. The project’s design entailed the diversion of water from the Kishanganga river into the Jhelum, which eventually flows into Pakistan anyway. The only restriction the International Court of Arbitration had placed on India with the project was that it had to ensure the maintenance of a certain amount of flow in the Kishanganga, to help maintain its environment downstream. 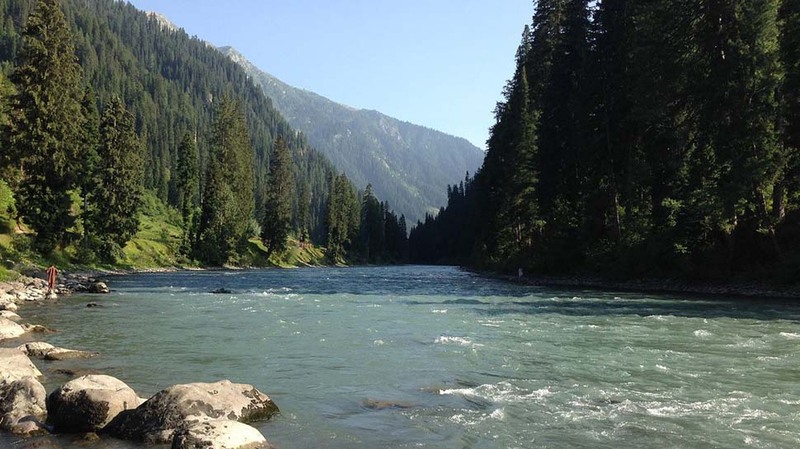 The river flows into Pakistan-occupied Kashmir almost immediately after the 330 MW hydel plant, and is known there by the name Neelum. And that is among the main concerns for Pakistan, that the Kishanganga project could impact its Neelum-Jhelum Hydroelectric Power Plant, which Pakistan started building in 2008, a year after India began constructing the Kishanganga Project. However, since the water of the Kishanganga is going to be diverted into the Jhelum anyway, it is unlikely to affect that project.